Babies need to feel warm and secure during the first few months of their life. 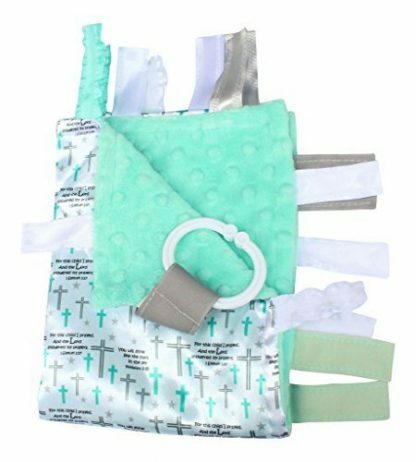 If you want to make sure that your godchild only has the best, give them this security blanket on the day of Dedication or Baptism! It offers a warm and snug sleeping time. It also comes with ribbons and fabrics that can encourage tactile play and develop baby’s cognitive and motor skills. During the first few months of their life, babies should be kept warm, snug, and comfortable as they are still adjusting to the environment outside their mother’s womb. Some babies actually use a security blanket up until they become older kids, especially if that blanket has given them so much comfort and warmth – especially during sleeping hours. 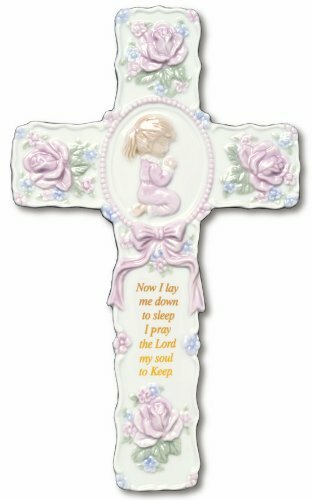 So why not give something comforting and memorable for your godchild or grandchild such as this security baby blanket. But unlike other baby blankets, this particular type does not just provide warmth and comfort, but is also equipped with fabric patterns and textures that can encourage tactile play. It also comes with a teething toy that baby can use to sink his/her gums in. Textured ribbons and fabrics encourage tactile play. Helps children develop cognitively, socially, and emotionally through sensory interaction. Ribbons are sewn shut, so little fingers don’t get stuck in the loops. 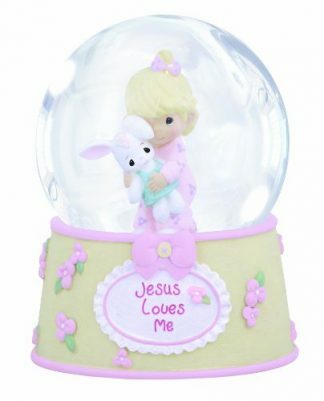 Made with micro polyester that is paired with a minky, plush fleece textured backing that provides a child with comfort and security. Paired with a teething toy that can be clipped onto strollers, car seats, or baby carriers for easy accessibility. Cleaning instructions: Remove toy link and machine wash in cold water. Tumble dry in low heat. Do not use bleach or fabric softener. The educationally designed fabrics encourage tactile play and help children develop cognitive, social and emotional skills through sensory interaction. Each Learning Lovey comes with a toy link to clip onto strollers, car seats, or baby carriers. Each toy is non-toxic and BPA-free. The top fabric is made from a durable, micro polyester, paired with a minky, plush fleece textured backing. The blanket can be used in many ways. Your child can rub or tug on our ribbon tags or snuggle up in this comfortable blanket. 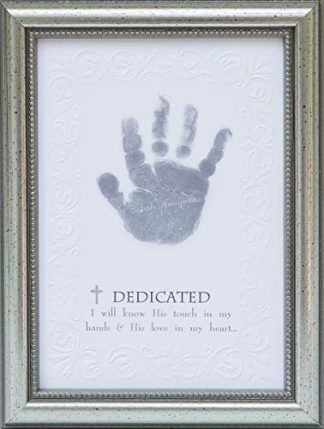 It is a perfect gift for baptism, christenings, and baby’s dedication day!